At the expense of angering theme-park goers, Walt Disney's (NYSE: DIS) move to increase some of its Disney World ticket prices on Tuesday is the right call. The world's largest theme-park operator has now boosted admission rates for 31 consecutive years. All of the headlines and social media uproar centers on Disney World's introduction of a new holiday tier to its pricing. It will cost visitors $159 for a single-day ticket to visit any of Disney's four Florida theme parks during the week between Christmas and New Year's Day this year, a whopping 23% more than they paid to visit Disney World during the last week of 2018. However, the more affordable passes received more modest 2% to 8% increases, with the resort's cheapest one-day passes not budging higher at all. Disney knows what it's doing. Keeping the prices for its most affordable one-day tickets steady at $109 per guest is important. No one will argue that $109 during low season is a bargain, but at least critics can't argue that Disney priced itself out of reach on Tuesday. The 2% to 8% increase for the three other non-holiday tiers isn't outrageous, and it beats the 7% to 10% increase that Disneyland rolled out across most of its tickets and annual passes in January. The 23% increase for the final week of the year is the only real outrageous pricing tweak, but it's hard to blame Disney. The media giant shifted to demand-based pricing three years ago, and that still hasn't slowed the flow of guests during the most seasonally potent times of the year. Even at $159 for a one-day ticket, no one will be surprised when Disney's Hollywood Studios and the resort's original Magic Kingdom hit capacity on a few, if not most, days during the Christmas holiday. If that's the case, why would Disney leave money on the table? 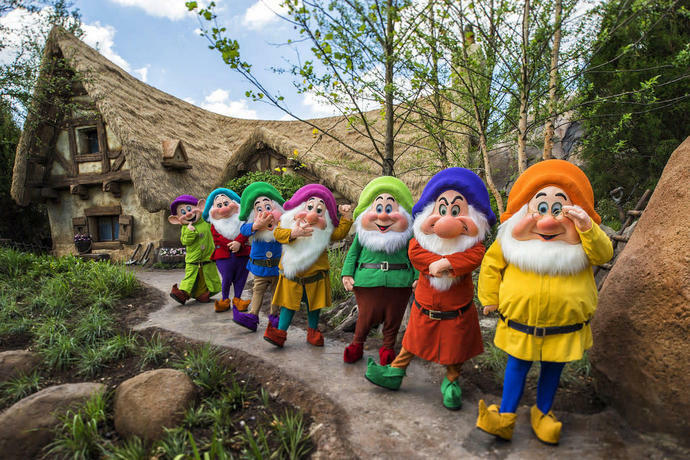 There's always the fear that Disney will price itself out of reach, but with Disney World attendance hitting record levels year after year, the argument against the increases ring hollow. For every person who decides not to visit Disney's Florida theme parks, there seems to be at least one other person to fill that void. Disney World continues to build on-site hotels, and the overnight rates also keep creeping higher. Despite the uptick in capacity, we've seen occupancy rates move 300 basis points higher over the past year. If there was ever a year for Disney to try anything as brazen as the 23% boost in one-day ticket prices during its busiest week of the year, it would be 2019. The first phase of Star Wars: Galaxy's Edge will open in late August, and it's just the first of many new attractions Disney World has in store for guests as it steps up its game ahead of the resort's 50th anniversary in late 2021. You don't have to like higher prices as a park visitor, but you don't need to be a shareholder to understand why it's happening. Rick Munarriz owns shares of Walt Disney. The Motley Fool owns shares of and recommends Walt Disney. The Motley Fool has a disclosure policy. Legacy companies should be paying attention to what just happened to Disney stock. The media giant&apos;s stock has soared 13.6% over the past five trading days, and there may not be any looking back now.